So if you have downloaded and started playing with the new SQL Server 2012, one of the new features you can use with SharePoint 2010 and Reporting Services is Power View. Power View is a new self-service reporting tool developed by the Reporting Services team and it currently works against Tabular BI Semantic Models (so either PowerPivot files in SharePoint or Tabular SSAS databases). Now when you create a new Power View report you might realize that it doesn’t create just an RDL file anymore, they are now RDLX files. Theses files are really zip files, so just like PowerPivot XLSX files you can simply rename these files with a ZIP extension and explore the contents. 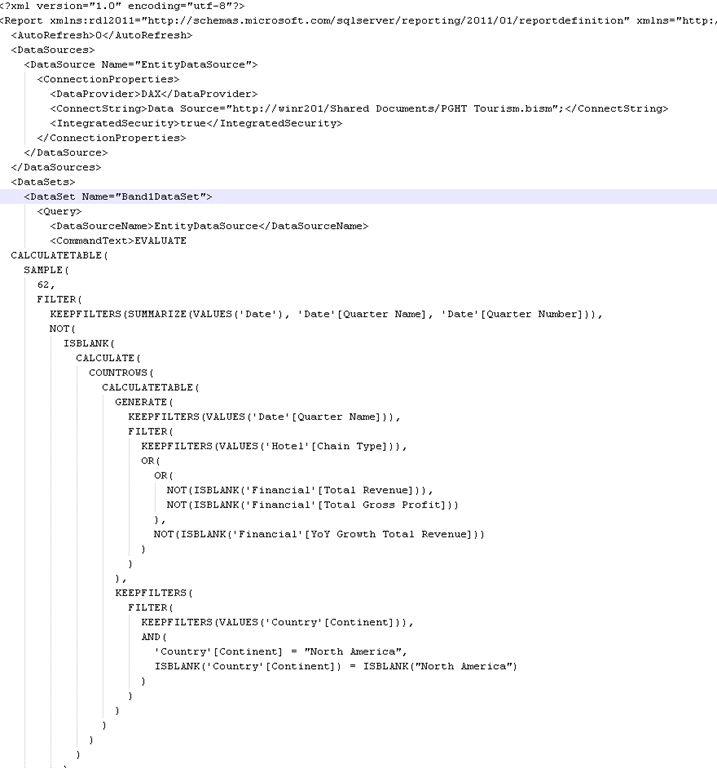 Now this is what we are used to seeing, XML with DataSources, DataSets, etc. 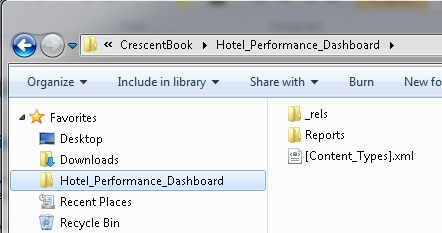 We can even see the DAX that is generated and used to retrieve our data for the report! Really nice. More on these in another post that will be coming up soon. 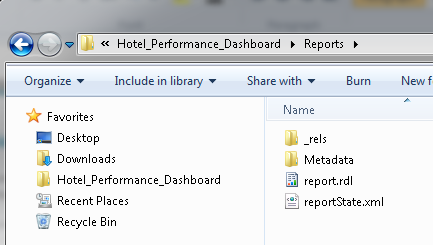 Cool, look at that, the snapshot images of our views in our Power View report file. 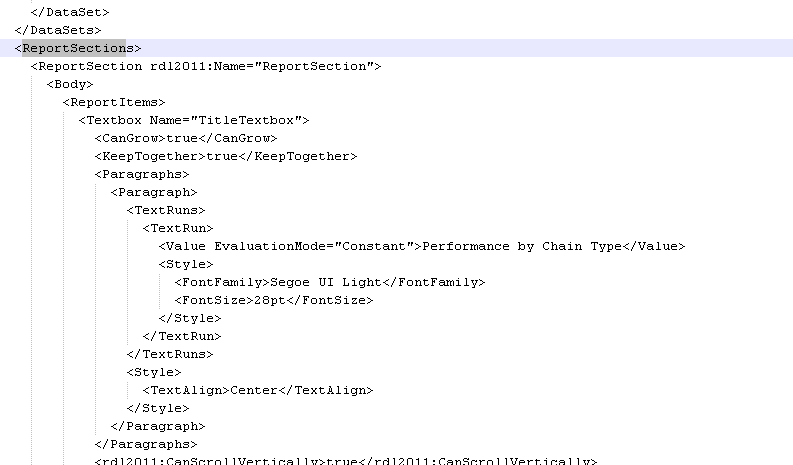 Okay, so that is a quick tour of the RDLX file, up next…Power View URL commands…coming really soon! And by the way, if you haven’t heard, the new Power View book, Visualizing Data with Microsoft Power View has been released, so check it out and let me know what you think. Not only does it include information about Power View, but also how to build Tabular BI Semantic Models, use DAX, how to build a BI Virtual Environment, and it is loaded with ‘Learn By Doing’ exercises and videos as well! This entry was posted on June 12, 2012 at 9:43 pm	and is filed under Reporting Services, SharePoint. Tagged: msbi, power view, ssrs. You can follow any responses to this entry through the RSS 2.0 feed. You can leave a response, or trackback from your own site.